Have you ever heard the saying, “Beauty is in the eye of the beholder?” The truth is that we don’t all see the same thing the same way. But if we could step into another’s shoes, see things through their eyes, then we might find beauty in what we might otherwise overlook. When John sets out to write his telling of the life of Jesus we notice that John does it differently than Mark, Matthew or Luke. Certainly John, writing his gospel last, doesn’t want to carbon copy the other accounts. Still a better reason for the differences is that John’s purpose requires an unique approach. John wants us to see Jesus through his eyes. If we could see Jesus through John’s eyes then we would see Jesus as John does—through eyes of love. 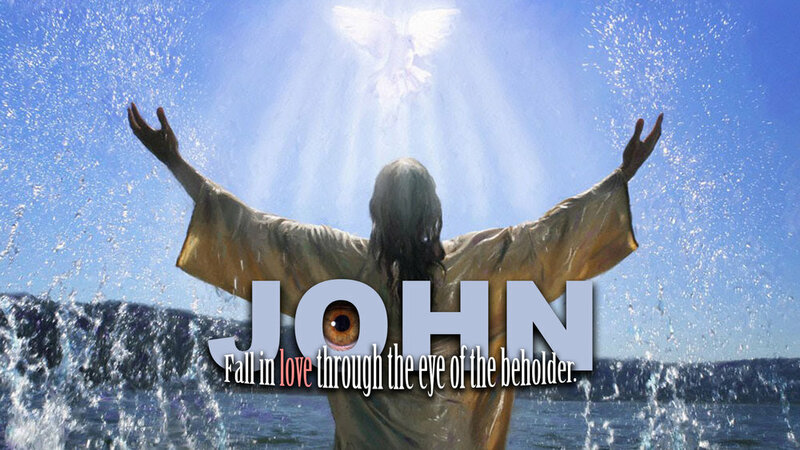 In seeing Jesus through eyes of love we too might fall in love with him. After all, beauty is in the eye of the beholder. Week One: THE CALL: John 1:35-42: Jesus calls us all to come and see and then to follow. What is the call of Jesus and how do we answer? Week Two: ZEALOUS: John 2:13-25: When Jesus went into the Temple to clean it out of the money changers and animal sellers there was a deeper message God was sending us: You are the temple of the living God and Jesus is zealous for you. Join us as we discover Jesus came to remove the barriers between God and us. Week Three: BIRTH: John 3:1-21: Looking at Jesus encounter with Nicodemus through the lens of Ezekiel 36 & 37, Can these deep bones live again? Let's listen and see. Week Four: THIRSTY: John 4:4-42: Jesus is in search of your heart. He can break through the limestone layer that covers it and turn your heart of stone into one of flesh. He can give us the Holy Spirit who alone can satisfy our thirst for God. So, come to the well. Drink deeply of God's grace and find out what it means to truly live. Week Five: CHANGE: John 5:1-18: Do you want to get well? When Jesus asks you that you better hold on because your whole life is about to change. Join us as Jesus asks us, "Do you want to get well?" Week Six: HUNGRY: John 6: Our physical hunger is an image of the spiritual hunger we all have. Whether we will find satisfaction will depend on how hungry we are for God. Only those who truly hunger after God will find HIm. How hungry are you? Week Seven: LIGHT: John 8:12: When Jesus said, "I am the Light of the world..." what did he mean and how can it change your eternal destiny? Join us as we look at Jesus, the Light of the world. Week Eight: FREEDOM: John 8:31: When Jesus said, "You will know the truth and the truth will set you free" what did he mean by free? Are you free? Join us as we discover the freedom we find in Jesus. Week Nine: SIGHT: John 9: Has it ever felt like God has not come through for you? How can you deal with that and keep faith? John us in John 9 and we find answers. Week Ten: SHEPHERD: John 10:1-18: Sheep have a bad reputation for being stupid, smelly and clumsy. But it is good being a sheep if you are a sheep of the Good Shepherd. Join us as we look at why Jesus is the "Good" Shepherd. Week Eleven: RESURRECTION: John 11: There is a dark side to God's grace. What is it and how can we make it through the dark days we will face. Join us as we discover the answers.